This is a Lined Seahorse (Hippocampus erectus) in its juvenile phase. Ain't it pretty? Too bad it might be extinct one day along with most other seahorse species. 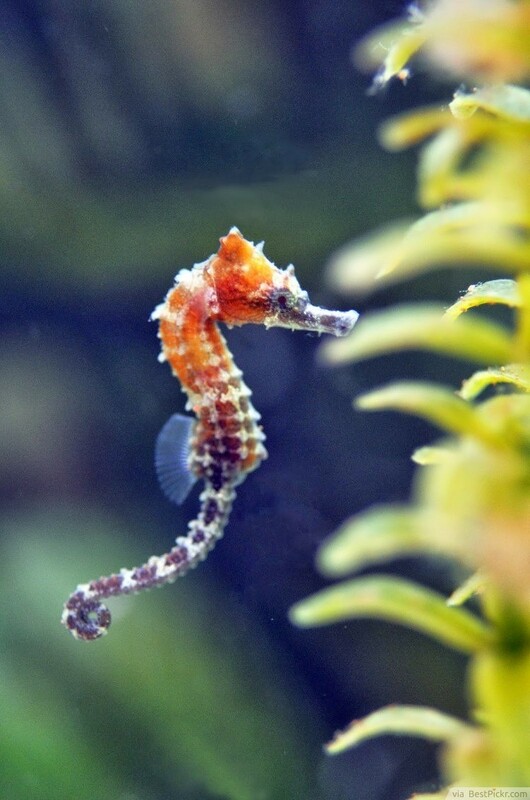 Lined Seahorse and several of other seahorse species have been labeled as 'Vulnerable' under the IUCN Red List. Along the years, their population have been declining steadily due to various reasons. One of the most notable factors is the traditional medicine trade. In parts of the Asian countries, some regions that are still practicing medicine by traditional means collect and use seahorses as one of their prescriptions to cure illnesses and to enhance the body's immune system. It is believed that prescribed seahorses can be used in kidney detoxification, skin treatment, as anti-aging and anti-fatigue agents, and are also able to cure asthma, impotence, cancer, tumor, and blood clots. I have never thought of eating this handsome guy to cure my acne. Yeesh.